Thousands upon thousands of young people hunger for love and acceptance. Alone, hopeless, and desperate, they believe their lives are not worth living and think suicide is their only way out. But by the grace of God, many of these youth find out about the HopeLine at 800-394-4673 (HOPE) where caring people talk with them. Lives are saved. Hope is given. Hurts are healed. Truth Media partners with the HopeLine and receives emails from those who further request an ementor. As of April, 2013, Truth Media has received 100,000 emails from these hurting young people since they partnered in October, 2007. Ementors come alongside a mentee to be their friend, to listen when no one else understands them, to offer positive support without judgment, to provide them with helpful resources, to point them to Jesus and the hope there is to be found in Him, and to pray with them and for them. Recently I mentored a teen (I’ll call her Kammy) whose first email was short and heart-rending: I have self-harmed for two years, going on three, and I was recently sexually assaulted, and I’m feeling like this is all my fault. I have hit rock bottom and don’t know what else to do but give up. This was from a father who openly professed his faith in God to the public but who physically and emotionally abused his daughter at home. Kammy’s emails became increasingly hopeless: I can’t deal with this pain anymore. Every night I find myself in my room curled up in a ball crying myself to sleep. That razor is my best friend. I’m tired of hurting. I don’t know how much longer I can hold on. As mentors, we are not counselors, but it is our job to direct mentees to the professional help they need. Kammy’s heart was so broken and trampled on that she saw no reason to even seek help through the abuse and suicide hotlines offered to her. As her situation escalated, it was time to intervene with more desperate measures, but at the same time to assure her that it was done out of a loving, kind place in our hearts. Since we know only a person’s first name, we urge them to give us more information when we know of abuse that needs to be reported or when suicide intentions need emergency intervention. In Kammy’s case, she didn’t give much to go on but enough that the suicide hotline and the police in her area eventually tracked her down. I didn’t know if I’d ever hear from Kammy again, but after some fierce struggling, I could let Kammy go. Jesus gave me peace that day that He had her in His hands and He would take care of her. Even if I never heard from her again, I believed that she was safe with Him. But God gifted me with a message from her that next day: Thanks for all the advice you told me, and thanks for being there for me. I have realized that I need help and I’m gonna get help today. I received another note today: I just got out of the hospital, and it helped me a lot. God is blessing my life a whole bunch. Kammy is only one example of a hurting teen in need of love and support. There are so many out there who are lost and alone in a cruel world. They need us to care, to listen when no one understands, and to point them to hope in Jesus. Will you join us? 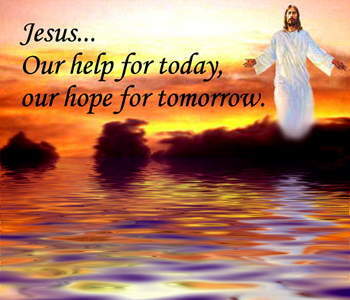 Are you feeling alone and hopeless? You are welcome. May Jesus fill you and surround you with His love and peace!